The recent Malaysian elections have the potential to create a positive impact on the certification of sustainable palm oil in Malaysia. It is not clear at this moment whether Sabah state, under the new government will continue with jurisdictional certification by 2025 under RSPO or move forward with MSPO but a few facts should be pointed out. Sabah state is a palm oil producer of global significance whose volume is greater than that of entire countries including Thailand and Nigeria, which rank 3rd and 4th respectively in global production. The biggest buyers of Sabah palm oil remains China and India both of which favor price over certification. The RSPO has a strong presence in Sabah with certified plantations and mills owned by notable Malaysian members including Sime Darby and Wilmar. The previous governments attempts to boost the palm oil industry through a Palm Oil Industry Cluster (POIC) in Lahad Datu to promote downstream activities continues to under-perform. The most notable point about palm oil produced in Sabah is the logistics. It’s proximity to China and India makes it competitive in those primary markets for palm oil but unfortunately also means higher shipping costs to premium markets in Europe. The effects of NGO campaigns in the EU against palm oil pales in comparison to the restrictive import policies imposed by both China and India to protect their own vegetable oil industries. Sabah state needs the support of premium markets in Europe to help finance the sustainable development of its palm oil industry. To maintain its share of premium markets, the certification of its palm oil production must rank high as a priority. Questionable licenses issued to industrial plantations in the past have led to a severely fragmented landscape in Sabah which the new government has identified as crisis for wildlife. A report from local media, Borneo Today showed that the new government is well aware of the crisis as the Chief Minister spoke on the crisis in a pre-election statement. The efforts to identify Sabah state’s most important areas to conserve with the Carnegie Airborne Observatory must be continued by the new government. It is important for the palm oil industry to know where high carbon reserves are but equally important will be the areas in need of intervention to ensure the survival of Sabah’s iconic wildlife. Making a claim on producing palm oil sustainably would be more credible if it came from a region that protects its natural resources well. The new state government would do well to partner up with the MSPO so that the cost of sustainability initiatives need not be carried solely by the state. Previous actions like the licensing of forest reserves to pay for forest protection would not be necessary if the state efforts for conservation are merged with the national plan to produce palm oil sustainably. The savings gained by passing on the costs of jurisdictional certification with a national body could be used better towards conservation in Sabah, where wildlife continues to face a two-pronged threat of habitat loss and poaching. As a favored tourist destination to see the wilds of Borneo, the inextricable link between the palm oil industry and tourism as two of the top revenue sources for the state cannot be over-emphasized. For its palm oil industry, the creation of an enhanced quality of Mass Balance product which RSPO members in Sabah can offer their customers once the MSPO certifications are complete, will be priceless. 2017 reports on usage of certified palm oil by the RSPO indicate that Mass Balance certified palm oil usage is more than triple that of Segregated certified palm oil. The problem with Mass Balance certification is the inclusion of questionable raw materials from uncertified operations that could likely be from plantations that actively practice all the environmental issues associated with palm oil. A Mass Balance blend of RSPO and MSPO certified palm oil would create a superior blend in terms of sustainability to show for once, that the palm oil is 100% certified, albeit under two different schemes. 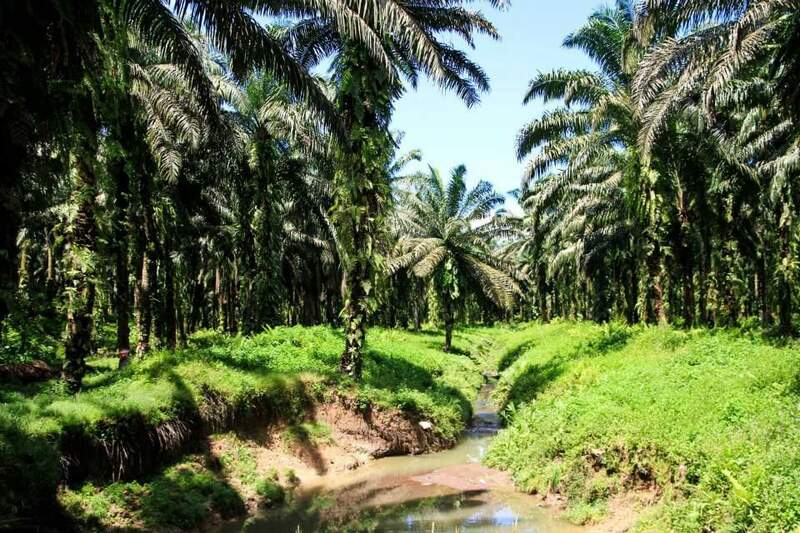 Comparisons between the RSPO and MSPO as certification schemes for sustainable palm oil have been made whereby the strengths and weaknesses of both schemes were critiqued. The fundamental flaw with these critiques is that they consider the two schemes to be in competition for credibility. This is simply not the case. The RSPO works well as a business to business model to assure corporate buyers of the quality of product whereas the MSPO is a state effort to ensure that all of Malaysia’s palm oil production is sustainable. Close analysis of the strengths of these two schemes will show that once applied to the ground as single action, these two schemes work well to complement each other. A great example would be the RSPO’s critiqued weakness in engaging smallholders in Malaysia. This weakness is however, the strength of the MSPO as a national scheme. To illustrate the tremendous conservation potential at play here, one of the most important conservation areas in Sabah is at the same time, one of the most threatened. The Lower Kinabatangan area is home to numerous icons of Bornean wildlife including the pygmy elephants and orangutans. RSPO certified plantations dot the area amidst lands owned by small farmers and Sabah state. The conservation values of this area are expected to rise once the MSPO completes it engagement with farmers that have opted to grow oil palm. It will be easy enough to calculate the revenue savings to the state in this implementation of national certification via the MSPO to facilitate the creation of an enhanced Mass Balance product for RSPO members. The incalculable will be the tourism revenue which will come as a direct result of the improved conservation of Sabah.